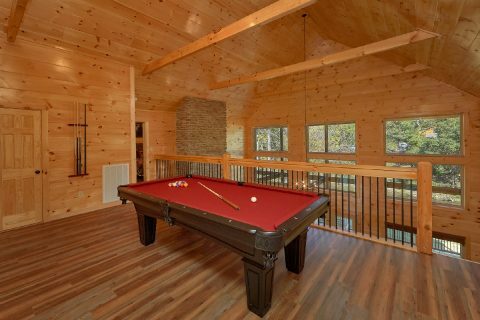 Looking for a cabin with a private outdoor pool? 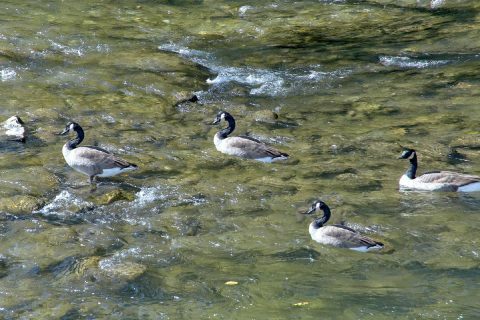 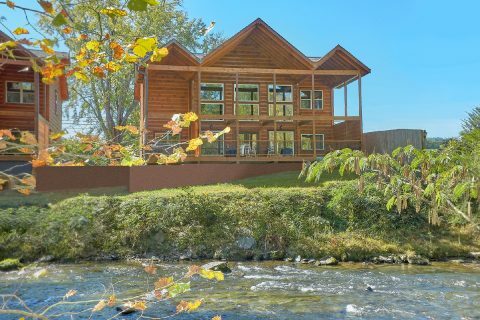 Check out "A River Retreat!" 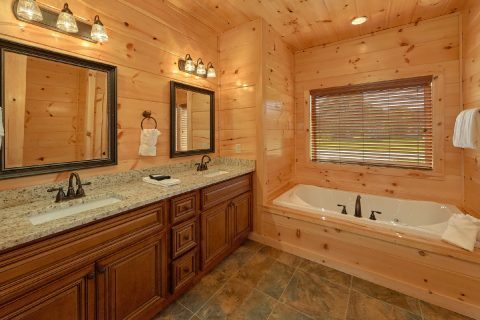 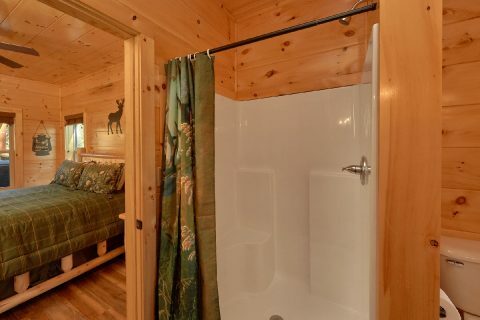 This impressive 3 bedroom cabin rental in Downtown Pigeon Forge boasts a private outdoor plunge pool that's ideal for taking a refreshing dip during the warm summer months. 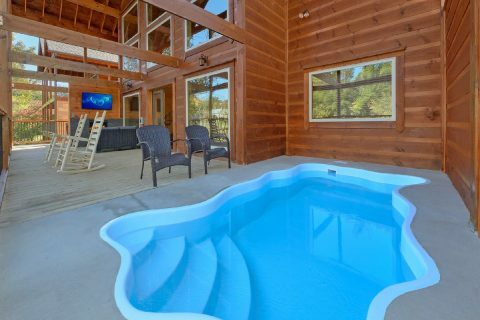 Please note that this pool is available from May to October! 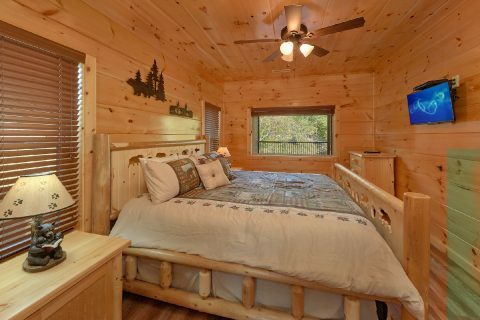 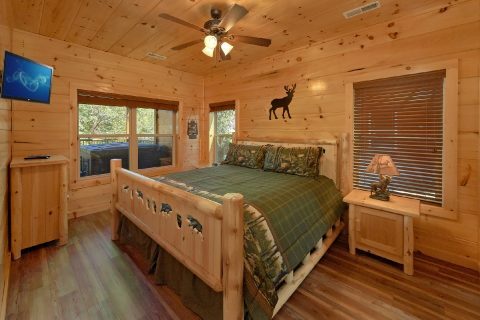 Better yet, this Smoky Mountain cabin boasts a prime location near the heart of Downtown Pigeon Forge. 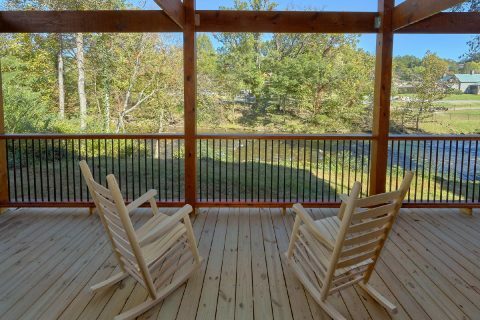 In fact, this cabin overlooks the river behind Dolly Parton's Stampede, so this rental keeps you close to fun attractions like Dollywood and the Historic Old Mill. 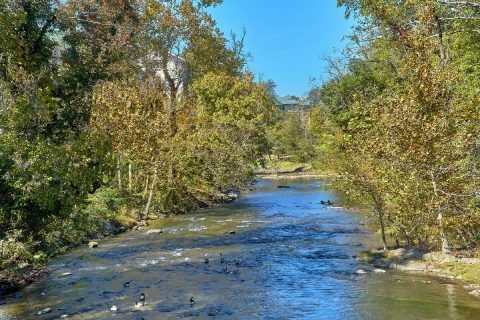 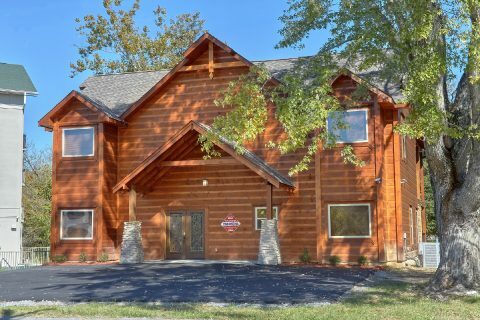 When you aren't busy enjoying the shops, attractions, and restaurants of Pigeon Forge, you'll love unwinding at this rental with plenty of luxurious amenities. 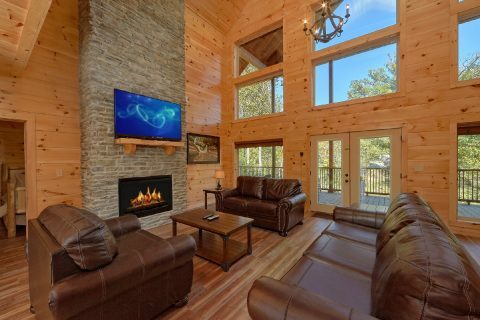 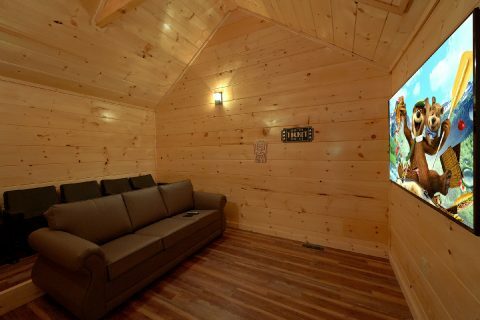 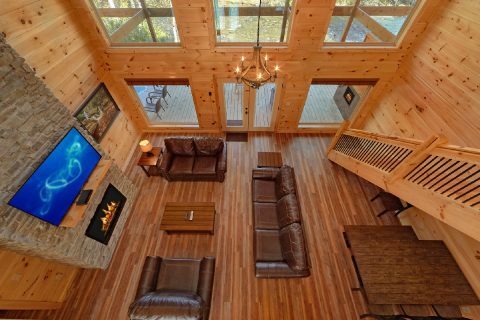 From this cabin's living area with a floor-to-ceiling stone gas fireplace to its upstairs theater room to the game room with a pool table and arcade game, this cabin offers lots of ways to unwind. 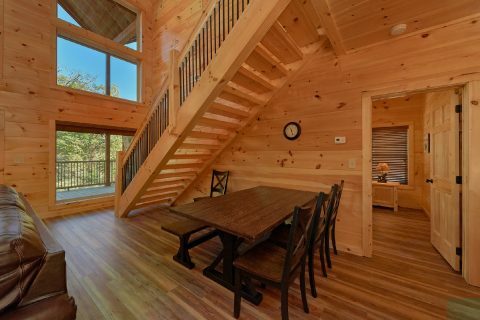 This cabin also features plenty of outdoor space. 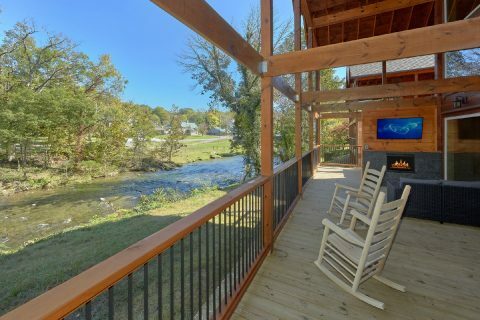 Step outside onto this cabin's oversize deck with a river view and you'll find an outdoor area with an outdoor gas fireplace with a television over it and a hot tub. 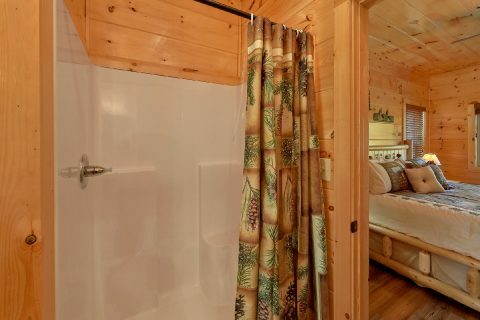 From here, you can enjoy your cabin's outdoor plunge pool that's just off of the back deck. 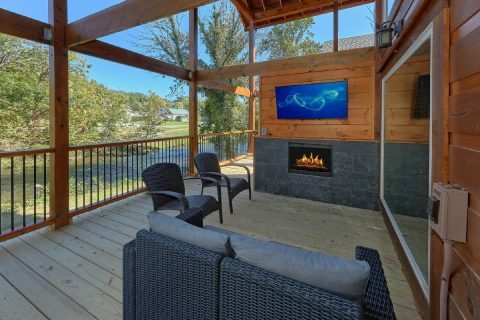 For even more relaxation in the outdoors, you can enjoy your cabin's outdoor fire pit located in the yard near the river. 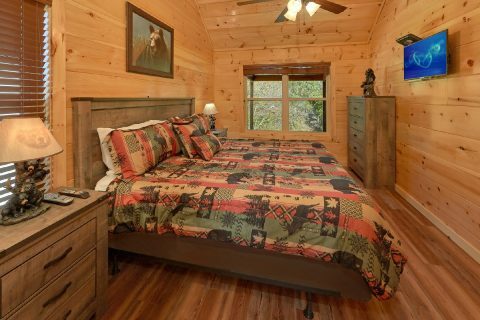 To get a good night's rest, you can look forward to sleeping in this cabin's 3 private bedrooms that boast king-size beds. 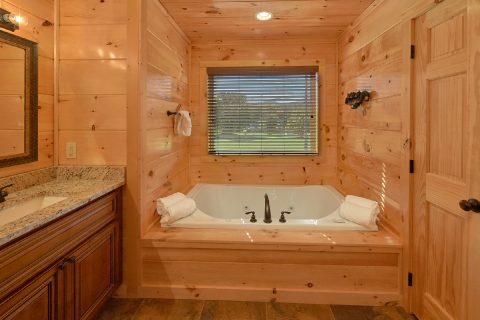 In fact, two of these master suites feature private bathrooms with jacuzzi tubs and a shower. 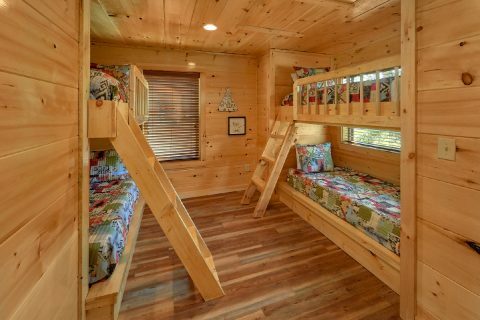 With two sets of built-in twin bunk beds on the upper floor and a sleeper sofa in the theater room, this cabin can sleep up to 12 guests, so it's perfect for a family vacation or a fun weekend with friends. 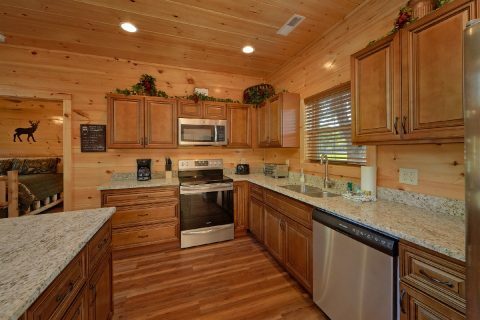 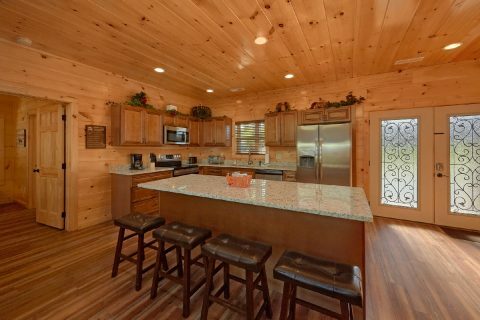 This cabin also features useful amenities like a washer/dryer, a charcoal grill, WiFi, and a full kitchen for making delicious meals during your vacation. 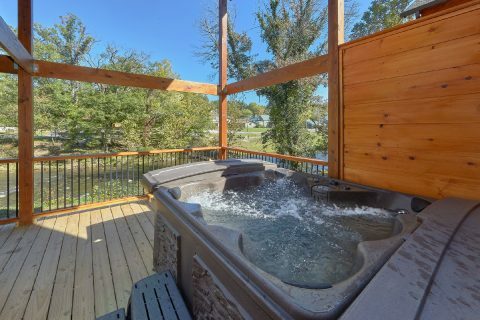 Book "A River Retreat" with Cabins USA Gatlinburg today and you'll save 15% on this excellent Smoky Mountain cabin with a private outdoor plunge pool!